Over the last two years there have been unprecedented changes in the way that search engines (particularly Google) rank websites. These changes have had an enormous effect on many businesses whose sales are related to search traffic and SEO professionals have been forced to create new strategies for optimizing websites. There are more changes still to come, but, as is common in business, the emphasis in SEO is on short-term results, and we see few SEO professionals are preparing for these changes. This article will tell you how to prepare your business’s website for the future. It used to be easy to trick a search engine algorithm into ranking a certain page highly using common SEO tactics. The SEO strategies of years past, however, are quickly being rendered ineffective as Google gets better and better at separating quality web pages from those that have been artificially bolstered by SEO efforts. As future updates are rolled out, Google will continue to improve at identifying the content that offers the most value to users. These changes will make it more cost effective for websites to produce and promote genuinely valuable content than to pay SEO experts to try to ‘trick’ search engines into ranking a page well. Below are five things you can do right now that will help to ensure that search engine algorithms will see your website as a genuinely awesome website with valuable content that deserves to rank well. Search engines examine websites using complex algorithms that determine which pages should be displayed for certain searches. An algorithm is not capable of determining whether the content on a page is a good result for a given search, so it must rely on indicators. This article will show you how to maximize the indicators that will convince search engine algorithms that your website should rank high. A technically-sound, smooth-running website indicates to an algorithm that the website is well cared for and, therefore, is likely to provide a good user experience and contain valuable content. Websites get messy over time. Both internal and external web pages get taken down, but the links on your website that point to them stay up as broken links. Pages become orphaned (are not linked to by any other pages). Content gets outdated. Code gets messy. Databases get cluttered. 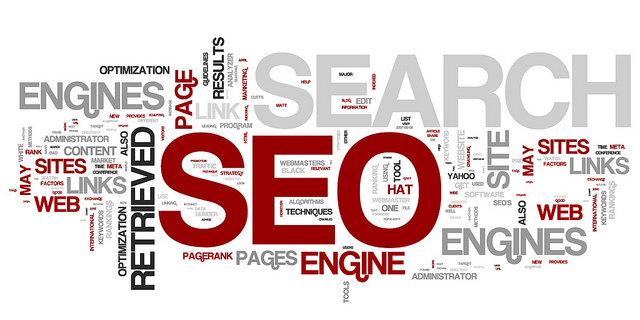 Cleaning up your website is an excellent way to show search engine algorithms that you care about it. One great tool for identifying common problems is Screaming Frog, which crawls your website and identifies issues. The free version will crawl up to 500 pages at no charge and show you a number of different technical issues you didn’t know that you even existed. Speed: An algorithm can tell how fast your website loads, and loading speed is considered very important to a good user experience. Make sure you have optimized your website for speed and use a CDN to ensure that your website will load quickly from any location. You can check your website speed using this tool. Navigation: Visitors to your website need to be able to find what they want quickly or they will leave. Good navigation is essential for the user experience. Search engine algorithms map your site and examine the navigation to determine which pages are most important, therefore, most likely to have the best content on them. So, it’s important that your navigation is easy for visitors to use and also helps to highlight the pages that you want to rank well. For more information, check out this guide to navigation and SEO. Make sure that your website’s body text is large enough to be read easily on all kinds of devices. Make sure that your text is well-written. In general, easy-to-read text is comprised mainly of short words and short sentences (the main indicators of readability according to the Flesch-Kincaid readability test). The average user reads 20% of a webpage. Format your text so that it’s easy to scan by using short paragraphs, sub-headings, and lists (where appropriate). Add descriptive photos and videos to pages when appropriate to enhance the written content. It’s worth noting that pages with video on them get a special video preview in Google search results, which has been proven to increase click-through rates. You can learn more about readability and SEO in this article and use this tool to test the readability of your content. Google authorship is one of the search company’s best tools for ensuring that their search results provide users with top-notch content. Authorship enables Google to track an author’s online writing, determine the topics on which the writer is an authority, and gauge the quality of the content produced by the author, all of which will affect how the content written by that author will rank in searches. At the time of writing Google authorship did not affect search rankings, but it is certain that it eventually will — and that effect will be significant. Having high-authority authors on your website will not only achieve good rankings for the pages written by those authors, it will boost your website’s ranking as a whole. Google Authorship also results in the author’s picture appearing next to the search results, which has been found to increase click-through rates. Learn how to implement authorship on your website. Have the writers who produce your website content also activate authorship for themselves, and encourage them to write for other authority websites about your topic (ensuring that authorship is implemented for those articles) to increase their authority. Find guest contributors for your website who specialize in your topic and have large online writing portfolios for authority websites — preferably well-known bloggers or contributors to large, well-respected websites like the Huffington Post or New York Times. Finding exceptional content creators for your website will have more payoff than simply increasing your website’s authority through Google authorship. I will explain in the next tip. Google has been rapidly improving its ability to identify exceptional content, so providing exceptional content is one of the best ways to guarantee that your website will rank high in searches. Simply providing excellent content, however, is not quite enough because, as I mentioned before, an algorithm has no way of determining the quality of content without indicators. Inbound links to pages and social shares on Facebook, Twitter, Google +, and others, are all indicators of good content. So, after the content has been created, it’s important to share it with interested users who are likely to share and link to it. Useful: Find ways to solve problems or make life easier for your readers. This post entitled 30 Things to Stop Doing to Yourself received more than 600,000 likes on Facebook. Inspiring: Make your readers feel inspired and optimistic about some part of their life that’s related to your topic. UpWorthy.com is a relatively new website that has mastered the art of curating inspiring viral content. Their posts, like this inspiring list of Dr. Suess quotes, regularly receive thousands of social shares. Perception-Altering: People love it if you can change how they look at the world in a positive way. Check out this amazingly well-made viral video by Dove, which was shared more than 86,000 times. Hiring well-known content creators that already have a large following is an excellent content strategy, not only because those content creators will help to build your website’s authority through author rank, but because they also already have large online followings with whom they will share the content. Some of their followers will then also share the content, helping to provide proof that people genuinely like that webpage and your website. As I mentioned in the previous tip, links from websites and social shares are strong indicators of the quality of the content on your website. It’s important that you connect with the people who are most likely to provide you with them. Only a small proportion of the population works on websites that can link to yours. Also, although the majority of people are active on social media, a small proportion of people are much more active and influential than others (and they tend to be the same who work on websites). These people can help you a lot. Collectively, I call them as the online community. The online community is made up of social media influencers, bloggers, online writers, and enthusiastic users. Creating friendly alliances with them greatly increases the likelihood that they will link to your website and share your content on social media. Have your social media manager interact with these people in positive ways (casual conversations, sharing their content, etc.) through your company’s social media accounts. Hire them to create your content. Offer them freebies, discounts, or help with issues that they face. This last tip is quite powerful and extremely underused: Create alliances with non-competing related companies. Companies often have large social followings and high-authority websites. Links from high-authority company websites and shares over their social media accounts are extremely powerful tools for showing search engine algorithms that your content is valuable. Several companies found themselves in trouble over the past two years when their traffic from Google (which tends to convert well for sales) dropped dramatically. In most cases, this was related the use of poor SEO strategies that won short-term gains at the expense of long-term rankings. The tips above will not improve your SEO in the short-term as quickly as other riskier tactics, but are an excellent base for a long-term strategy that will prepare your website for future changes in search algorithms. Have you had successes or failures using any of these strategies? Which strategies do you feel will benefit your business most? Matt Gibson is the blog manager for FlightNetwork.com and an award-winning outdoors and adventure blogger.